Adwords has different goal than most businesses, which is to increase clicks and revenues for Google. Your goal is to get traffic and conversions from Google as cheaply as possible. 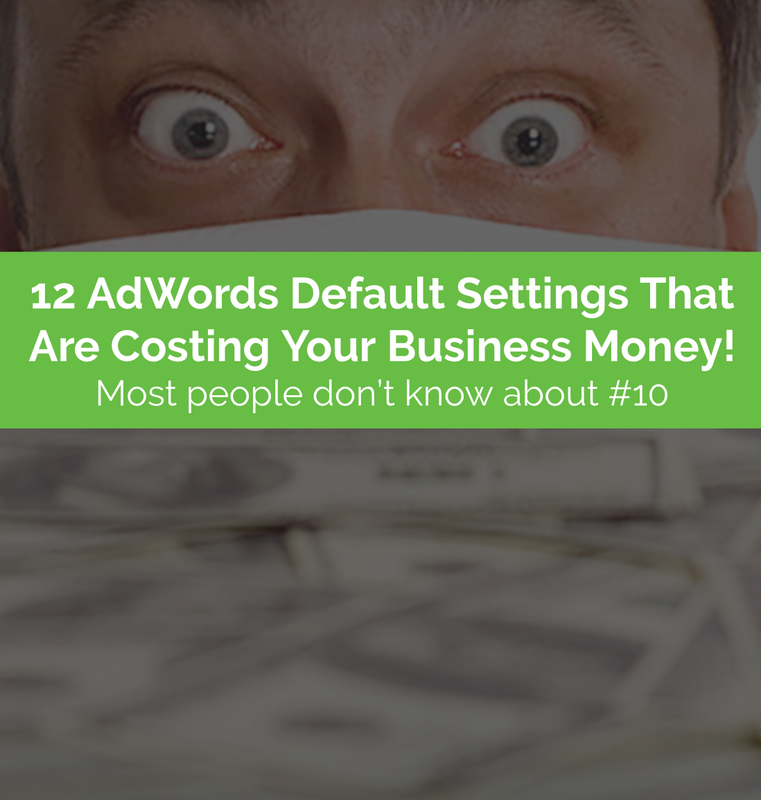 Some Adwords default settings (if used) can cost your dearly. Download this FREE guide to learn how to avoid these Adword pot holes. STOP using these default settings and you stop leaving money on the table. Most people DO NOT even know about #10 and it’s killer when you don’t use it. Learn how to prevent your brand from showing up on adult related content (the default settings do not prevent this today). #9 is the number one reason why most businesses think Adwords doesn’t work.